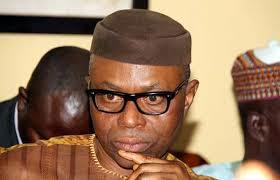 A former Governor of Ondo State, Dr Olusegun Mimiko has explained why he dumped the Peoples Democratic Party, PDP, for the Labour Party, LP. The former governor formally dumped the PDP, on Wednesday to rejoin the Labour Party. He said, “We have come with the conviction, consequent upon several years of practical involvement in the nation’s political process, that the need for ideologically focused political engagement is now more pressing than ever before. “Virtually all the existing political parties in Nigeria today belong to the right of the centre, ensconced as it were in a neo-liberal mental construct, the name or mantra they choose to enrobe themselves in notwithstanding. “This is evident not in terms of the pretentious claims they make to ideological purity, but in the way and manner, they have used power; including the extent to which they have mainstreamed the interest and welfare of the weak and poor in our society. “This ideological fluidity, within which the nation’s extant democracy has evolved since 1999, deserves now to be fully interrogated, with a view to engendering a transition to a more ideologically defined system of engagement. “We have come to the conclusion that these are the missing links in our political process, which have tended to make an all-comers game of it, and one in which the interest of the mass of the people has been greatly marginalized in several of our governance spaces, since 1999. “The decision was also not borne out of any disagreement with LP, either ideologically or operationally. It was simply a decision that we needed to take in the higher interest of our country. “We thought helping to elect a presidential candidate that had demonstrated this commitment to the restructuring of the country was well worth the risk associated with our having to step out of our LP platform onto PDP, on which the former president was running.